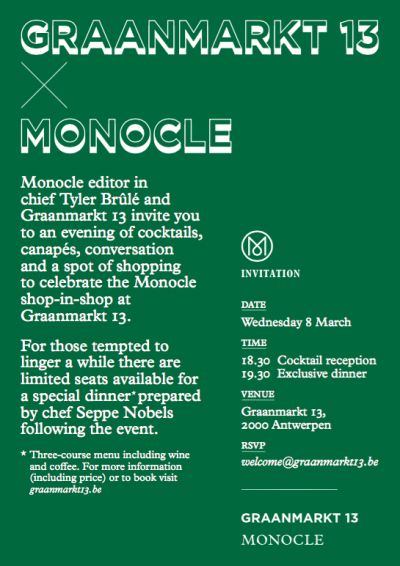 Living legend and editor in chief of Monocle Magazine, Tyler Brûlé, was in town for a few inspirational days in Antwerp. 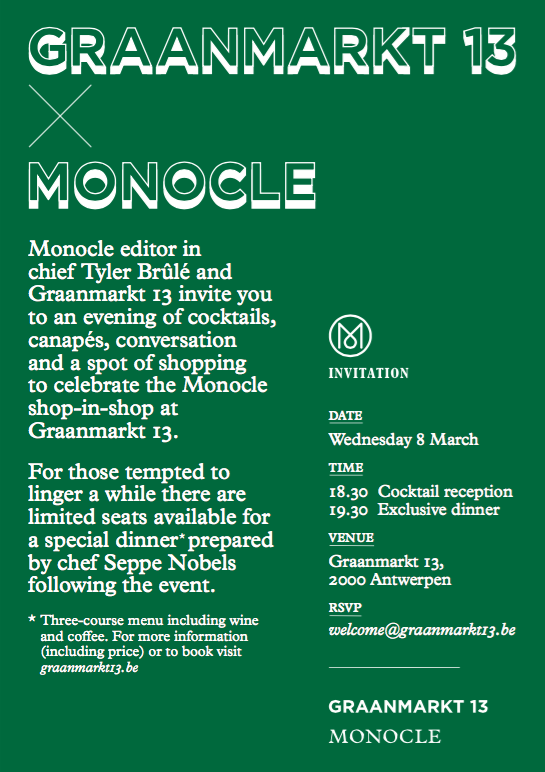 Together with Graanmarkt 13 -selling a range of Monocle goods at the newly renovated 1st floor- we hosted 'An evening with Tyler Brûlé'. 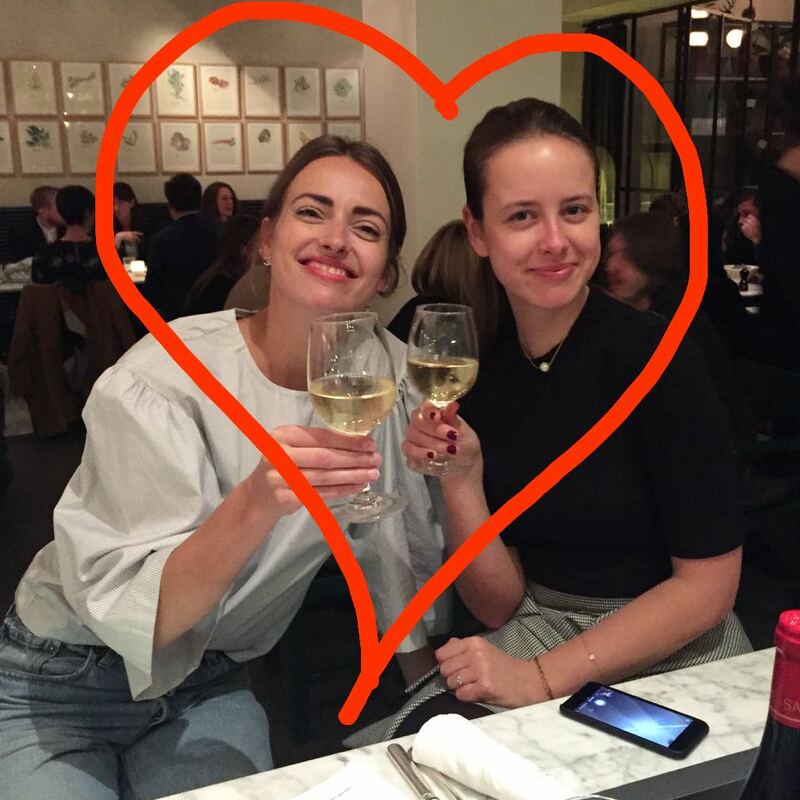 The result was an intimate night at Graanmarkt 13 with great food by Seppe Nobles, A-list press and some very pleased Monocle subscribers. The morning after we set up a breakfast meeting at Fosbury & Sons. Needless to say Tyler and the Monocle team were impressed with Antwerp's finest projects.